Buying furniture can be scary, especially for those who want to choose something that will last. The Bedroom Source’s Maxtrix system provides the perfect solution with their quality bedroom furniture. Not only are Maxtrix beds functional, but they’re also fun! Providing numerous options that can be tailored to your child’s personality, the Maxtrix system is an investment that gives back. Not only does the Maxtrix system provide a place for your child to sleep, but it offers countless options based on your family’s current needs. Need more storage? Maxtrix has you covered. Choose from dresser drawers, bookcases, or desks that can be added to the bed to make it more functional. Low on space? No problem! The daybed can be adjusted both in height and depth, or make the daybed a loft bed and utilize the space underneath. Add a sturdy staircase that has extra deep ladder steps so your child can easily and safely access their bed. 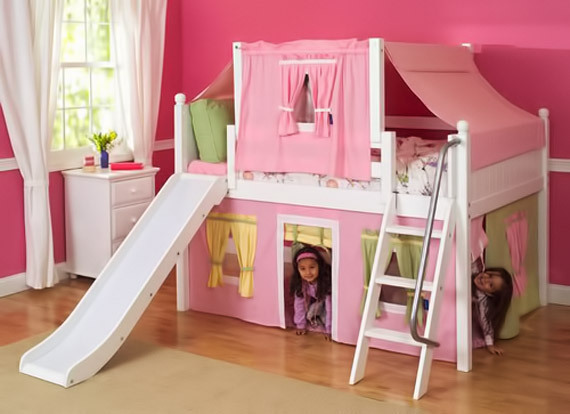 You can even add a second bed to transform it into a bunk bed. With extra high guard rails to keep your little one safe, you can rest assured that Maxtrix meets or exceeds safety standards. Not only do they pay special attention to the guard rails and ladder steps, but Maxtrix’s Rock Lock connection bolt provides peace of mind that your child’s bed is solid. 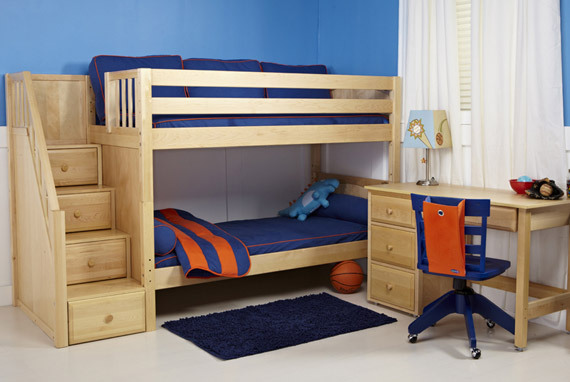 As your child grows, the guard rails can be taken off and the beds can be rearranged to fit your current needs. Whether you have a toddler who is hard at work on their motor skills or an older child with boundless energy, encourage their imagination by adding a playhouse or a slide. If you choose to add the steps and slide, your child is getting stronger as they have a blast climbing up and gliding down. If your child prefers reading or studying, adding a tent to the top or a desk at the bottom will foster their creativity. The boy who always wants good to prevail can be the knight of his own castle, while the girl who loves to play dress up can be the princess she always wanted to be. Your child can fall asleep in a tent equipped with a window and curtains that keep out noise and light, and wake up ready to start each day’s adventure. With many colors to choose from both for the wood and the accessories, your child’s domain can be bold and bright or soft and neutral. 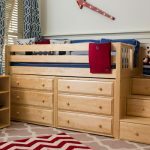 No matter which way you choose to configure the bed in your child’s room, there are plenty of accessories that will fit perfectly. 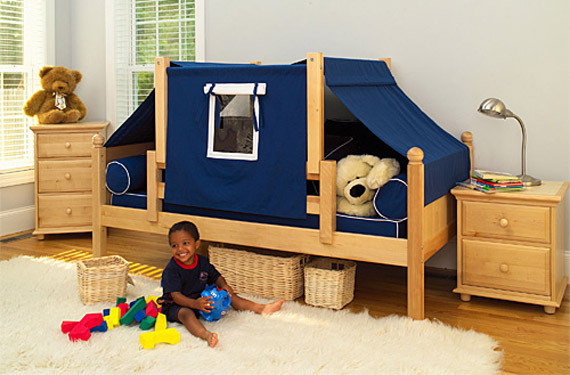 Start with the Maxtrix day bed, and customize it to grow with your child. Built to last, the Maxtrix system will provide a comfortable place for your child to sleep and the accessories give opportunity for countless memories to be made. With delivery and installation provided with a five year guarantee, the hardest (and most fun) part will be choosing the accessories! Located near the Roosevelt Field Mall, The Bedroom Source is your source for the best collection of children’s and teen bedroom furniture. From flexibly configurable Maxtrix furniture to fashionable Berg collections, The Bedroom Source offers high end furniture and professional design assistance to create the bedroom of your child’s dreams.